LLC Unit-MK was founded in 1991.Main business was production and sales sunroofs for passengers automobiles with partnership with Hungarian company Autoflex KFT. In first years in company work 5 people. We produced 15 sunroofs per month wich distributed in Orenburg region. Production shop was rent. 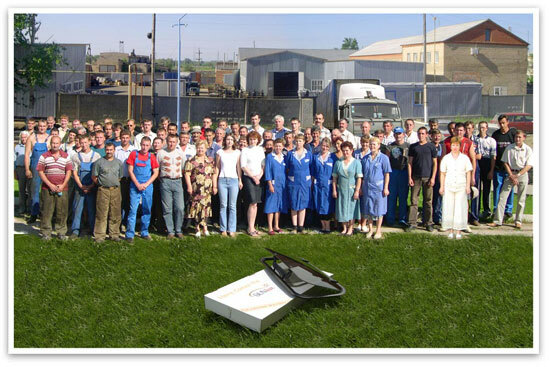 In 1998 we signed contract with GAZ plant for deliver sunroofs on conveyer. Thereby production of sunroofs increase till 7000 pieces per month. Sunroofs mounting on automobiles “Gazel”,”Sobol”,”UAZ”. Quantity of workers increase till 40. During years of sunroofs producing, we produced more than 500 000 ventilation sunroofs. Now LLC “Unit-MK” modern, highly organized, specialized company of production escape hatches and sunroofs for cars, tracks, busses, microbuses and other transport vehicles. LLC “Unit-MK” doing business in partnership with Hungarian company “Lux” KFT ,wich our main supplier of components and research and development center of new products. Our customers can buy our products in many cities in Russian Federation. Our experts, high-tech technology, system of quality management , deliver customer needs-all of these Unit-MK.